Former CEO of construction giant Arab Contractors and official in deposed President Hosni Mubarak’s National Democratic Party (NDP), Ibrahim Mahlab, has been appointed Egypt’s new Prime Minister by Adly Mansour – the army-appointed president who has been in office since Morsi’s removal in July. This came after interim Prime Minister Hazem el-Beblawi resigned last Monday February 24th. Mahlab is Egypt’s outgoing housing minister, and given his retrograde stance as housing minister, his record in this role is explored below as an indication of the potential direction he might hope to take the country. According to the Guardian’s announcement of the news, under Mahlab’s watch as housing minister, 1,200 families were forcibly evicted from their Cairo homes, and their houses demolished (Amnesty International cited). In January, Mahlab “in an attempt to prevent the spread of slum areas and facilitate construction procedures” issued Ministerial Decree 67/2014 to amend Egypt’s Construction Law regarding land divisions. The decree requires only 25% of land area to be set aside for roads and gardens, down from the previous share of 33%. The intentions behind his amendment are meant to ease burdens for real estate developers, and not citizens, falling in line with the status quo under previous administrations. Further, at the annual CityScape real estate forum in early February, Mahlab announced that disputes between real estate developers and the New Urban Communities Authority (NUCA) have been settled, with developers being offered a new incentive bundle to facilitate investment in the market. Mahlab’s actions as Housing Minister appear to echo Mubarak era policies in the housing sector, placing the desire to attract foreign direct investment ahead of much needed substantive reform of the systems that govern real estate development. 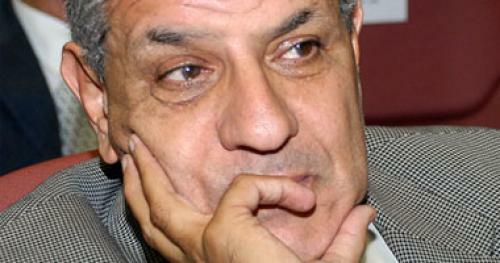 Mahlab’s new role as Egypt’s interim Prime Minister may prove to follow suit. It has been reported that while Mahlab would return most ministers to their former posts in the next couple of days, he is expected to stack his Cabinet largely with remnants of the old regime. On Thursday February 27th, it was reported that Mahlab appointed former finance ministry official Hany Dimian as finance minister in the new government and former technical director of the General Organization for Physical Planning (GOPP) – architects of Cairo 2050 – Mostafa Madbouly as the new housing minister. What are your thoughts on this topic? Please share your comments and reactions with Cairo from Below in the comments, on Facebook or twitter. NOTE: for more on Madbouly’s record as housing minister: http://www1.youm7.com/News.asp?NewsID=1530165#.UxTNYzbkt8H (Arabic).